Almost perfect... Just missing you! This totally remodeled level entry rancher with full basement is the perfect family home. Gourmet kitchen with open plan into dining room and living room complete with gas fireplace. Master bedroom with full 4 piece en-suite and laundry room on the main floor. Full lower level with 2 additional bedrooms, den and large family room with another gas fireplace. Lower patio doors lead to a covered deck with hot tub and carved wood entrance gates. Newer oversized 2 car garage with attached over-height carport and RV parking. Separate one bedroom cottage with its own driveway, garden area and its own meter and septic. 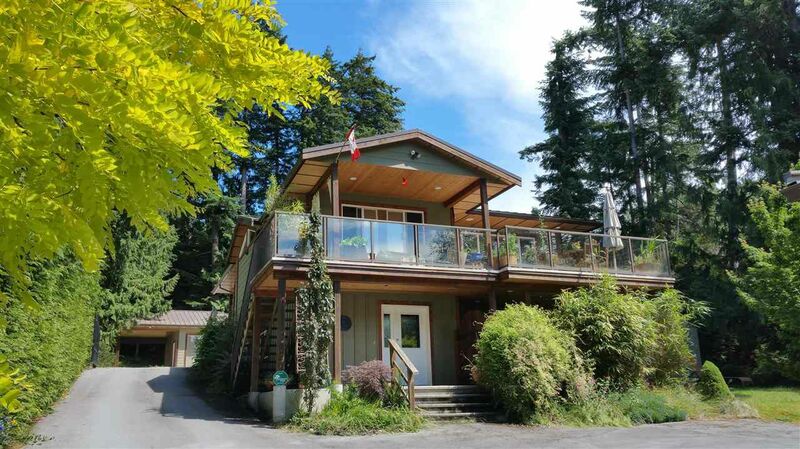 Extensively landscaped .57 acre with a large private forested area in back. Beach access is close by. OPEN HOUSE June 18 12:00 to 12:00.